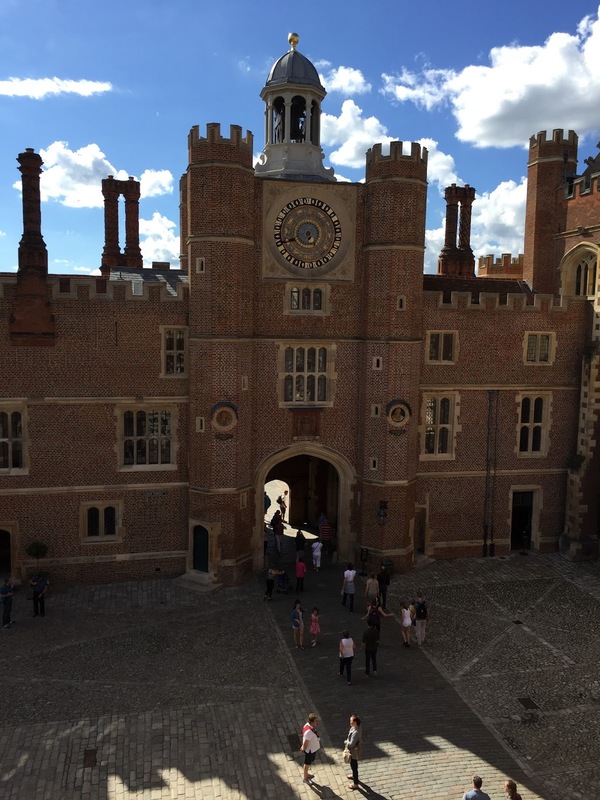 I performed Tudor music from the time of King Henry VIII at Hampton Court Palace on Saturday 16th and Sunday 17th of July 2016. I played the natural trumpet and the cornetto in several different formations of ensemble, in various locations around the palace and grounds. Other colleagues played upon the sackbutt, lute, tenor drum, tambourine, bagpipe and hurdy-gurdy, showing a selection of the instruments of the time. It was a pleasure to work with these experienced, friendly and multi-talented instrumentalists. We performed music by Brumel, Cornish, Praetorius and Willaert - to name just a few. Of course, we also performed music attributed to King Henry VIII himself as well as works from British Library manuscripts by anonymous composers. Hampton Court Palace was alive with an array of Tudor activities, both inside the palace and outside on the East Front. Arguably the most impressive event was the jousting tournament, which happened twice each day. King Henry VIII and his associates processed into the tiltyard led by around ten trumpeters, all were clothed in historically appropriate regalia. The attention to detail in the jousting was absolutely astonishing and we played for four incredibly diverse jousting tournaments over the weekend. Each one was different in outcome and the commentary was informative, exciting and different every time. 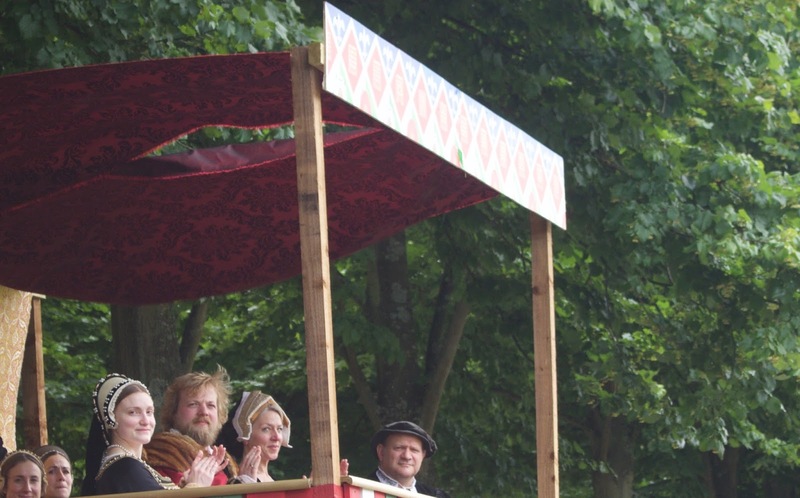 The audience clearly enjoyed this Tudor spectacle. 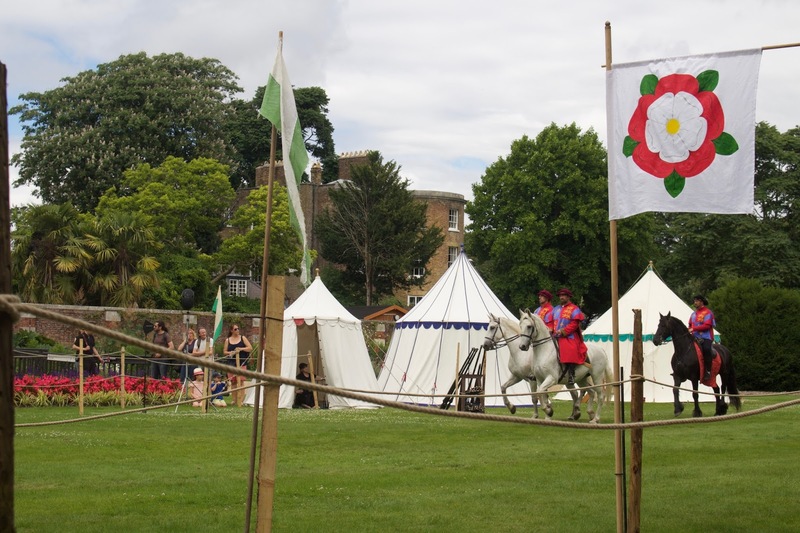 As well as the jousting and the fantastically warm weather, the numerous visitors to the palace enjoyed everything from falconry displays to cooking demonstrations. 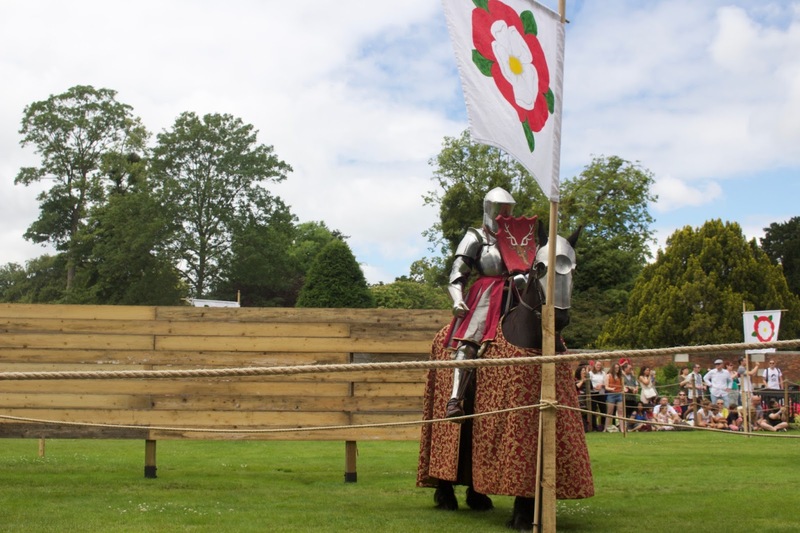 “Recreating all the pomp and ceremony of a lavish court entertainment, visitors will be immersed into the sights, smells and sounds of the Tudor court, brought to life with dazzling displays of sword fighting and courtly games. 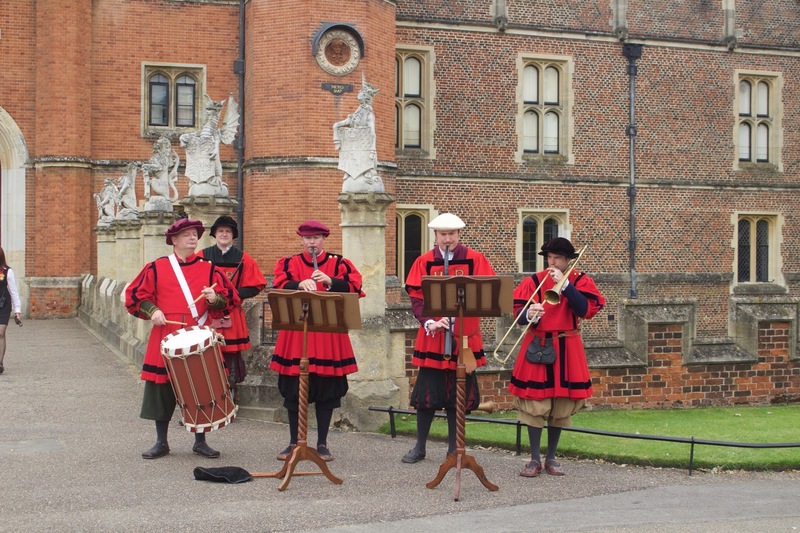 Ever wondered which instruments were popular at Henry’s court? There’ll be a host of weird and wonderful Tudor instruments to discover, and the chance for young visitors to try out pieces of armour for size. Published with permission from Historic Royal Palaces. Many thanks to the event organisers.